I have always loved decorating and redecorating. As I change, my rooms do too. The only problem has been budget constraints. 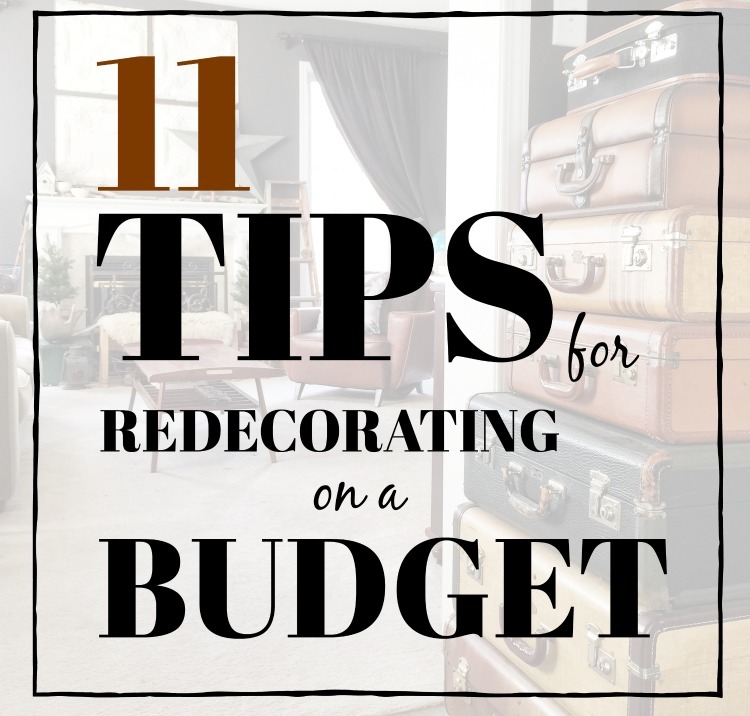 Over the years, I have learned a thing or two so I am sharing 11 tips for redecorating on a budget…. and how it was used in this One Room Challenge. *At times, we do add affiliate links, if we feel it is beneficial to our readers and or to share the same/similar items used. You can see our disclosure policy here. So far, the closet doors have been updated, one wall is the photography area, and the closet is the prop and decorating stash area. This week, we hung the curtains and the desk was setup. 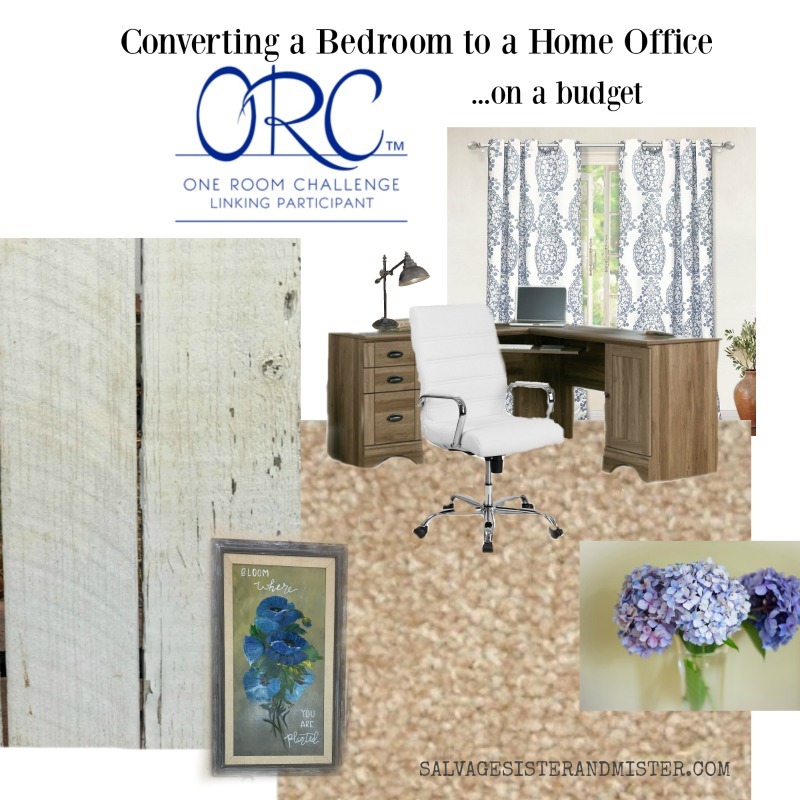 So, how are we redecorating on a T-I-G-H-T budget in this challenge? Well, the biggest thing that helped was to sell what we had to get what we wanted. We purchased a quality wood bunk bed set, like this, (aprox $600) when our kids were younger. That bed went through both boys. When they were done with it(about 15 years), it was sold ($250) to purchase this desk ($250). Now, we didn’t have a lot of money when we bought the bunk set. We saved before hand and also did a no interest payment plan to afford it. Sometimes buying cheap stuff isn’t the way to go; you can end up paying more in the long run. If you are going to purchase something, think of possible resale, longevity, and durability. Oh, and the previous desk, this one, was sold as well (which was originally free then updated and sold). Design It – There are some people who can design on the fly, blending multiple styles, and some can’t. If you find yourself/rooms, confused, and you aren’t happy -design first. Go to Pinterest and get a real handle on what you want first and formost. That will save a bunch of money on wasted items. Shop at Unexpected Places – Maybe you think of places like Ross Dress for Less as a place to get a curtain rod or maybe not. This curtain rod was $10 there. When we lived in Arizona, there was a model home store that sold all the furniture, and accessories, from area model homes. It was a great place to get nice items for less.A friend of mine, got a gorgeous and inexpensive blanket at a drug store. You get the idea, right? Keep a Decorating Box/Closet – You know how things have a habit of coming back in style? Or maybe you just want a change something for now, but you don’t want to get rid of an item. Keep a box, or two, of decorating items so you can switch things out. These curtains were in my box. They were originally in the living room, but I wasn’t digging it. Instead of donating them, I used them in this space. They were easy to store and pull out when I needed them. Shop Second Hand – Keep a list of items you may need/want on your phone ie. something to hold papers in. When you visit your local thrift stores, yard sale, or estate sales, you can see if they have some items you are needing. The picture, in the room, was a thrift store find that was just updated a little. Upcycle/Repurpose – Using items in a new way, like this old coffee can, glass jar, and the sugar mold are a great way to save money. Mason jars can be used as supply holders (which you will see next week), trays become wall art, a basket as a trash basket, etc. How to get inspiration? Well here on our site of course, but also type the item you have in Pinterest to get alternative ideas. Sell Items – As mentioned above, sell old items to purchase new ones. Shop Your Home – This is similar to the decorating box above, except it’s just changing items you already have in another room to a different spot. The vintage file organizer was in another room but wasn’t being used. Here it’s getting a new life AND now something new can go into the old spot to give it new life. DIY – Need a piece of furniture? Buy a quality piece, second hand, and paint it. Chairs can get reupholstered, rooms/furniture/pieces can be painted, projects can be made, etc. DIY’ing the closet doors were a cheap solution to these dated doors. 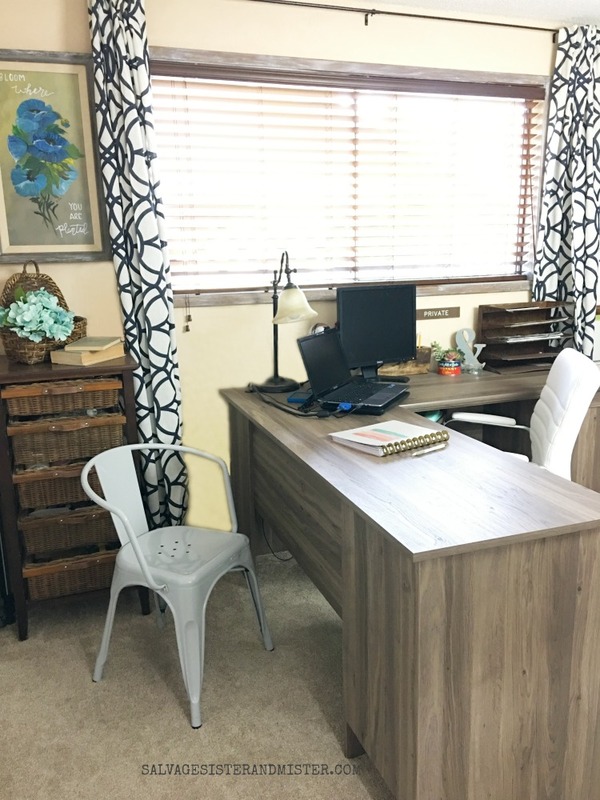 Discount Codes/Coupons – Since I am at the desk for many hours, I needed a chair that would be comfy. I tried the bargain route with a flea market flip and it didn’t cut it for work. Using several coupon codes, this chair was obtained for a very good price. I also sold my old chair to cover the cost as well. Here is one site that will search for coupon codes for you. 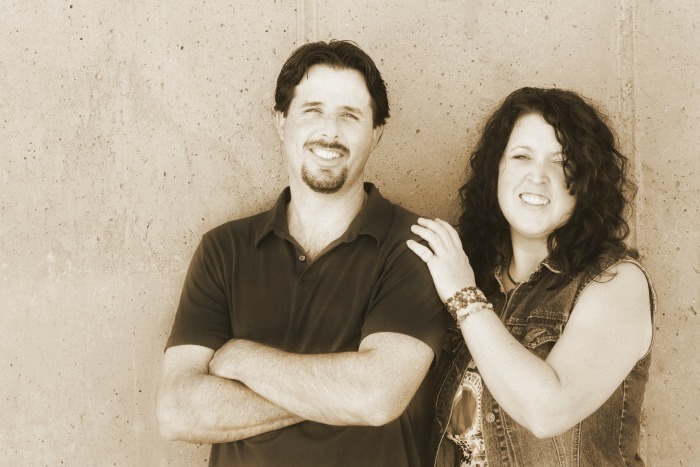 Swap – Host a decorating swap to share swap with friends. Free Piles – Search your area for free items (Craigslist, Facebook Marketplace, Freecycle, Bulk Trash, etc). Our laptop is old for what we need it for. We can’t replace it, but our oldest had a monitor someone gave him and now there is a dual screen that is really helpful in blogging. 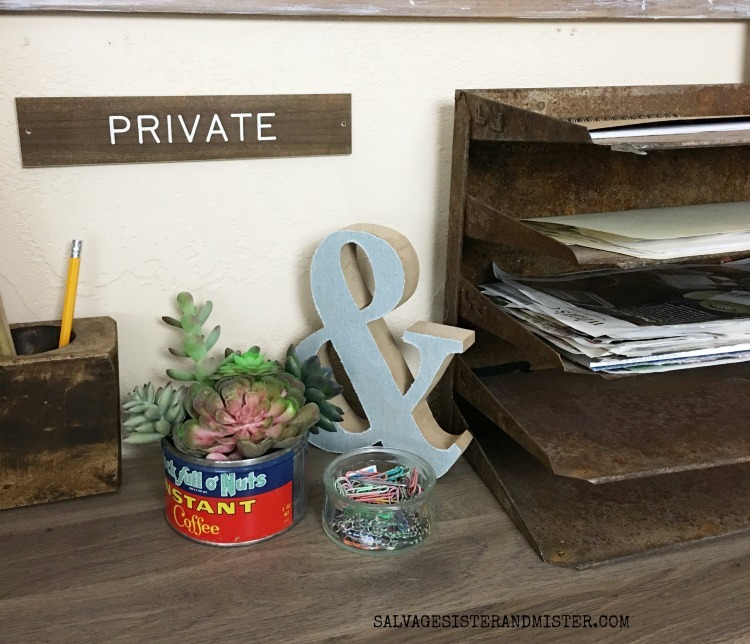 What’s left on our home office makeover? Deciding if the blue wall will get changed; nothing like being under the gun on this decision. Setting up the shelving unit that was in the old office. We hope you have been inspired with these tips for redecorating on a budget. Be sure to stop back by to see the updates on this room, as well as many other budget friendly projects. I’ve done those things too- put curtains in another room, turned a spare end table w/drawers into baby storage for grandkids. I think paiting does make a HUGE difference, whether it’s walls or furniture. We painted our bedroom, and can now see we need to do the closet drawers, so when it’s warmed it’s painting time! Great job!